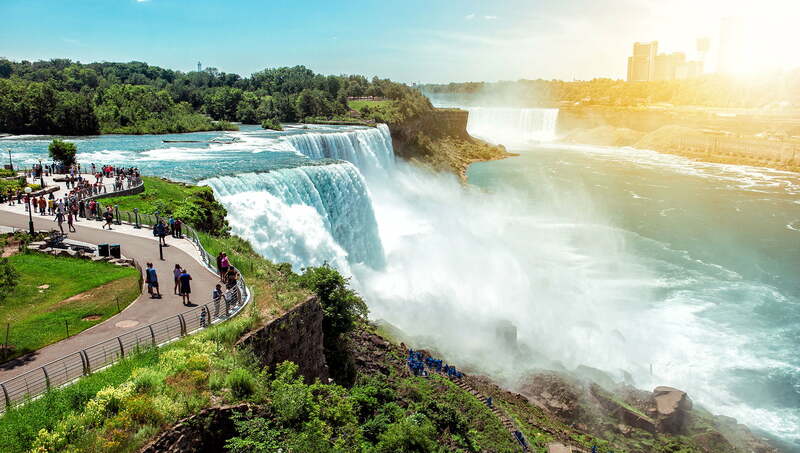 Conveniently located just minutes away from one of the natural wonders of the world, our hotel provides guests easy access to the Niagara Falls and the incredible dining, shopping, entertainment and tourist attractions the city has to offer. 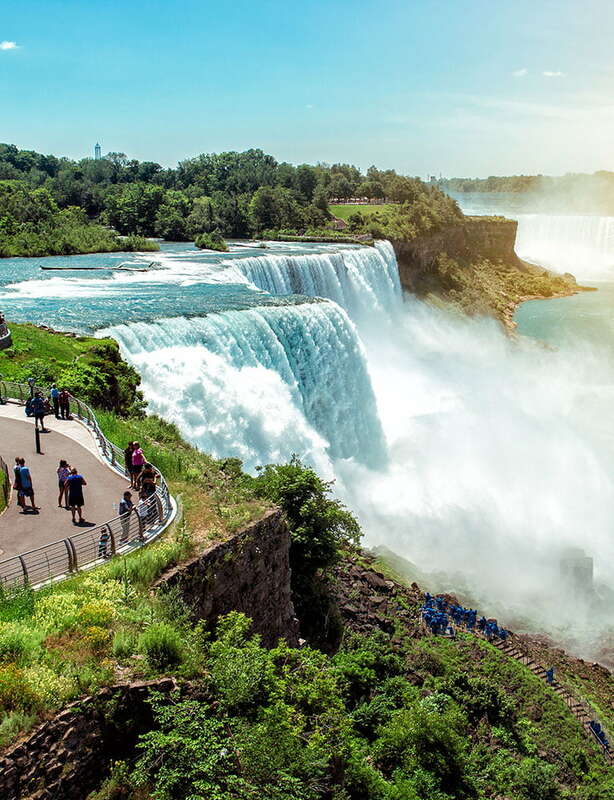 Take a ride on the Niagara Hornblower Cruises, place your bets at Niagara Fallsview Casino, walk through the Niagara Botanical Gardens or take in phenomenal panoramic views from the Niagara SkyWheel. If you are feeling brave, you can even take a high-speed Whirlpool Jet Boat Tour up the Niagara Gorge! 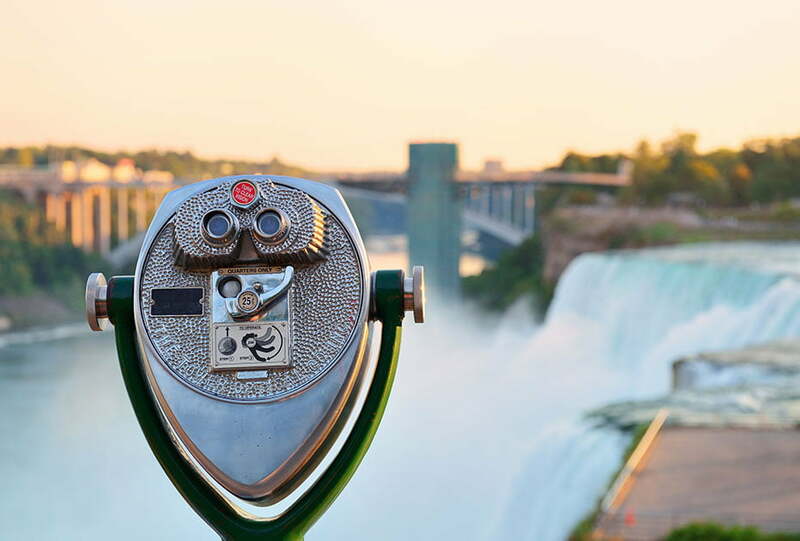 Everything Niagara Falls has to offer is at your fingertips when you stay with us! 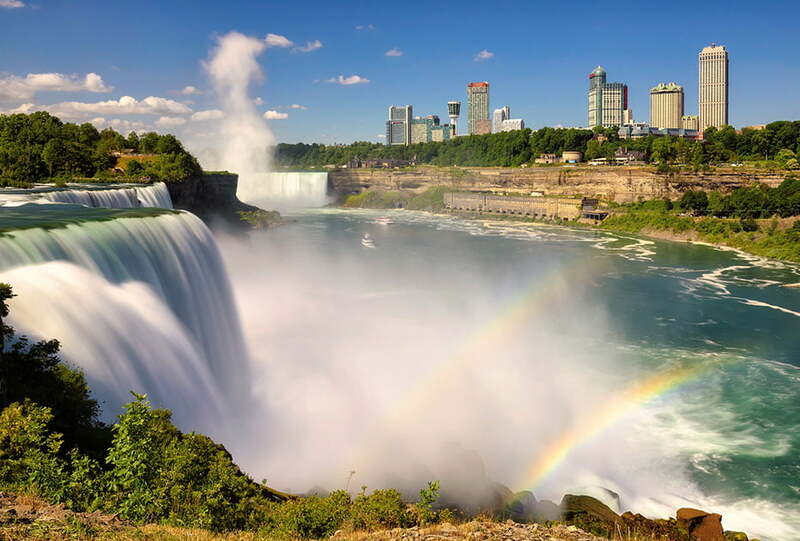 Located along the international border between the United States and Canada, Horseshoe Falls, the biggest of the three waterfalls, is situated on the western bank of the Niagara River and mostly in the city of Niagara Falls, Ontario. The most breathtaking and stunning views are observed from the Canadian side. Those coming to Niagara Falls from Buffalo, New York travel 30 minutes by car across the Rainbow Bridge. Those visiting from Toronto and other surrounding Ontario areas will travel approximately one hour and 30 minutes on the QEW (Queen Elizabeth Way Highway) to this amazing tourist attraction. Our hotel is conveniently located near Niagara Falls, just under a ten-minute stroll away. There are numerous restaurants on nearby Victoria Avenue such as the Outback Steakhouse, T.G.I Friday's and the Keg Steakhouse and Bar. 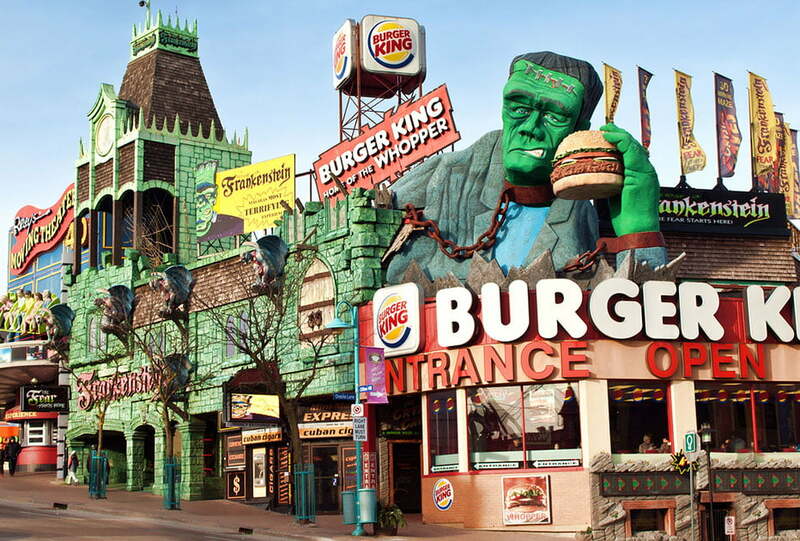 Guests can also enjoy some unique attractions that are within a short walk from the Vittoria Hotel and Suites such as the House of Frankenstein and the Upside Down House. There are famous events are held throughout the year such as the Niagara Icewine Festival, the OPG Winter Festival of Lights and the Niagara Falls Ribfest. When it comes to shopping, you must visit the Canada One Factory Outlet, just a five-minute drive away, where you can browse through over 40 brand name stores, including Tommy Hilfiger, Escada, and Daniel Leather. The open-air 520,00 square-foot Outlet Collection at Niagara is also perfect for shoppers as it has over 100 brand name stores to visit, free Wi-Fi, a children's play area and The Eatery, which is full of delicious food options. There are so many things to do in and around Niagara Falls - you'll be looking forward to a good night's sleep at the Vittoria Hotel and Suites when you are done! Niagara's WEGO transit is a state-of-the-art bus system that connects accommodations and tourism attractions throughout the city of Niagara Falls and Niagara Parks. There are public transit buses available everywhere you turn and many of the casinos offer free shuttles to various hotels and areas around the city. Keep up with events and hotel news through our hotel blog and always be one step ahead! We will do our best to keep you informed of what's going on in the area, must-see attractions and more.